Getting to create and share beautiful wood stuff ain't a bad gig! But it was a long time coming, and took a rather circuitous route through Google and Oracle, digital advertising and datacenters, and more. This is the tale of that journey. Let me back up a little: I've always enjoyed working with my hands. I first picked up woodworking and some basic construction from my father, a talented DIYer with whom I have fond memories of building bookshelves, or demolishing a wall doing some remodeling. As a budding engineer of sorts, I also loved electrical and mechanical things, taking apart many a VCR or TV or defunct computer. And I spent many hot summer days in the basement of my childhood home building model trains, obsessing over the wiring and the systems aspect perhaps more than the modeling and running the trains. That love of building in the physical world never left me even while I was several degrees removed from it; the professional roles I've enjoyed the most are those that connected back to a very real physical impact. That datacenter decision making I mentioned earlier? One of the reasons I found satisfaction in it is that my team directly influenced the when and how much of pouring of concrete, when to replace already-installed servers, or whether we truly need to acquire 1.21 jigawatts of electricity - it was physical in a very large way, albeit somewhat distant from me personally. 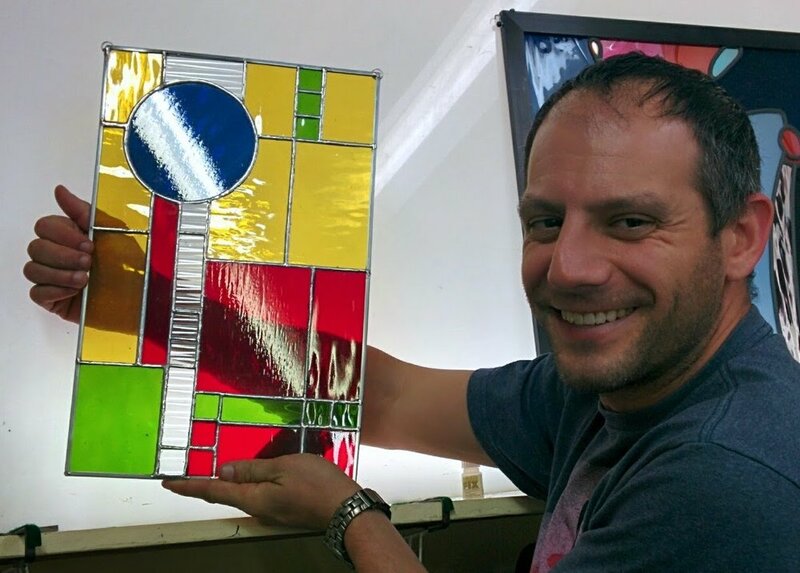 While the technology career grew, I dabbled in welding, robotics, and stained glass, and - just as in the professional world - was most excited by designs that leverage multiple disciplines, such as the stained glass bar, or the (orphaned) Sand Art project (visible in the Custom Work gallery). But I rarely had enough time to pursue any of these projects to my satisfaction, let alone to share my work with others. So in early December, I left my job to "branch out" with those hands on interests more directly. I've been volunteering with Habitat for Humanity and Grid Alternatives, exploring a few business ideas, and, of course, creating these wood (and glass and light) pieces for your home. Welcome to Branching Out Wood! I hope you find as much satisfaction exploring and pursuing as I did in designing and making!